Couponista Queen was compensated for this post. Are you looking for quality, affordable gifts for girls ages 2 to 12? SmitCo is a great place to shop products for girls which include rose gold, gold or rhodium plated jewelry and sets, as well as very popular stretch sets for little girls - all packed in cute gift boxes. I needed a gift for a stylish tween, and I found the perfect thing! 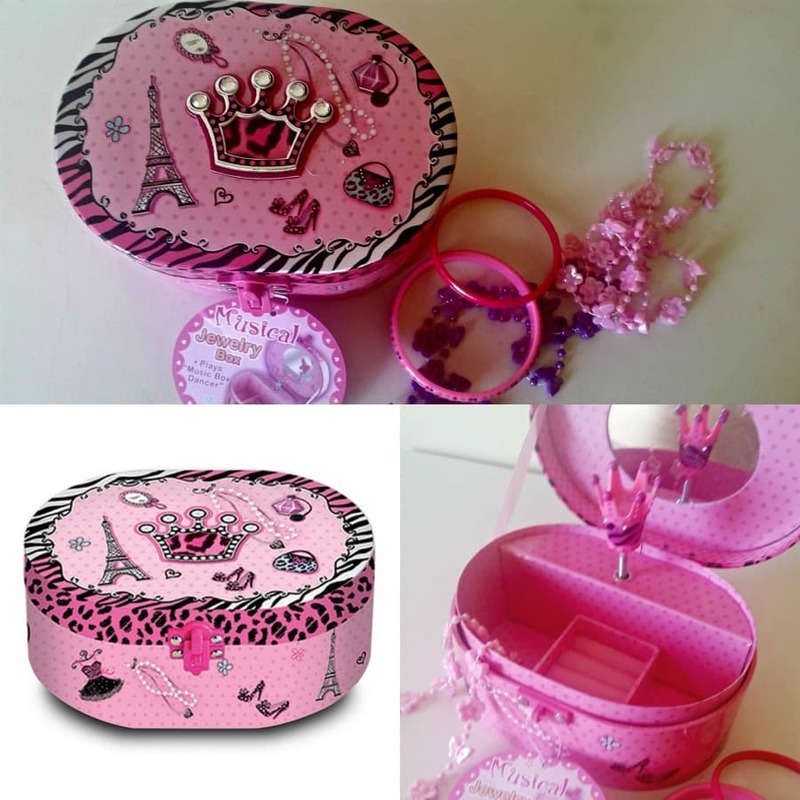 This tres chic and still cute as can be Diva Theme Musical Jewelry Box! This is a musical jewelry box, but instead of the traditional dancing ballerina, this box comes with a crown for the diva! It plays the traditional "Music Box Dancer" which brings back fond memories of the jewelry box I had as a girl. It is well made and the right size for holding special trinkets and jewels (not included, those belong to MY little diva), and the design itself is perfect to bring a pop of fun sophistication to her room. SmitCo also has several different diaries with lock and keys and diary sets for girls, as well as several different temporary tattoos sets to provide hours of fun. A huge hit now is the Emoji themed nail art sets - they have a larger and smaller set and both are equally popular. All these items are packed in quality packaging, ready to wrap and pop under the tree! Check often for new and different items available before Christmas! Find all the great products here: http://amzn.to/2a3d3v8 My readers get to save! Get 15% Off Entire Cart Of Gifts! Get Coupon Couponista Queen was compensated for this post.